This spring-y tiered cake from Confetti Cakes that combines the smooth, flat surface of fondant and the 3-D pop of gumpaste hydrangeas. I love how they're coming out of the sides of the cake instead of the more traditional way of sitting on the ledges in between the tiers. The idea of painting pretty flowers on fondant from Amelie's House. 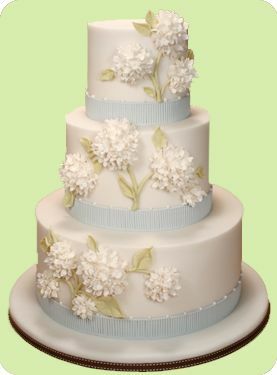 Opposite of the 3-D gumpaste, this type of flowering makes the cake look like it's covered in wallpaper. Although the flowers still have depth, the surface of the cake remains smooth and is more transportable. This natural beauty cake stand from Sarah's Cake Stands. If money were no object, I'd have 50 of these bad boys. 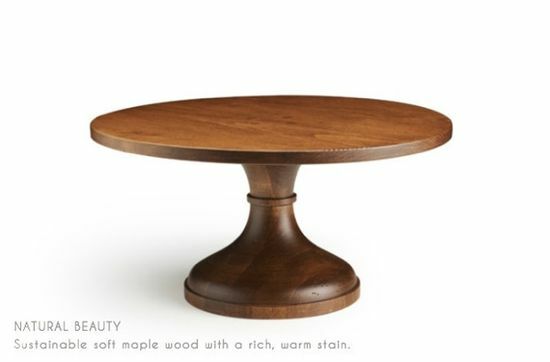 All of her cake stands are the perfect pedestals to showcase desserts and layer cakes. 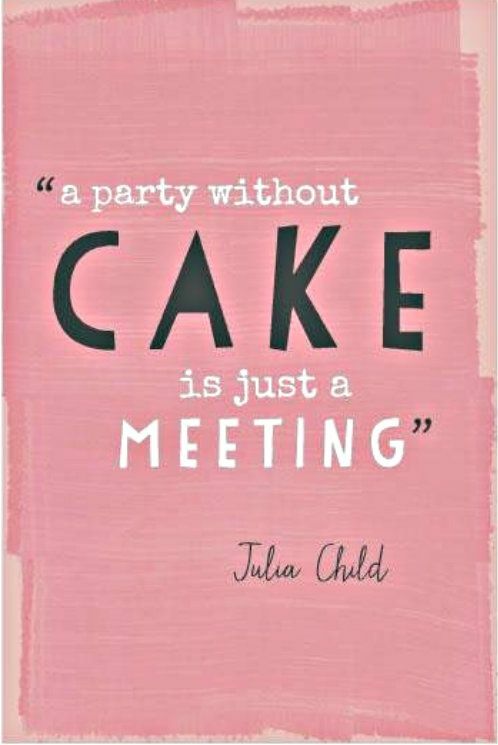 And lastly, this quote from the lovely Julia Child. I think we could have done some serious damage together over a piece of cake. It just doesn't get any better! Hope your weekend is off to a creative start! Follow me on Pinterest for more inspiration and to see what cakes I'm bakin' up lately.